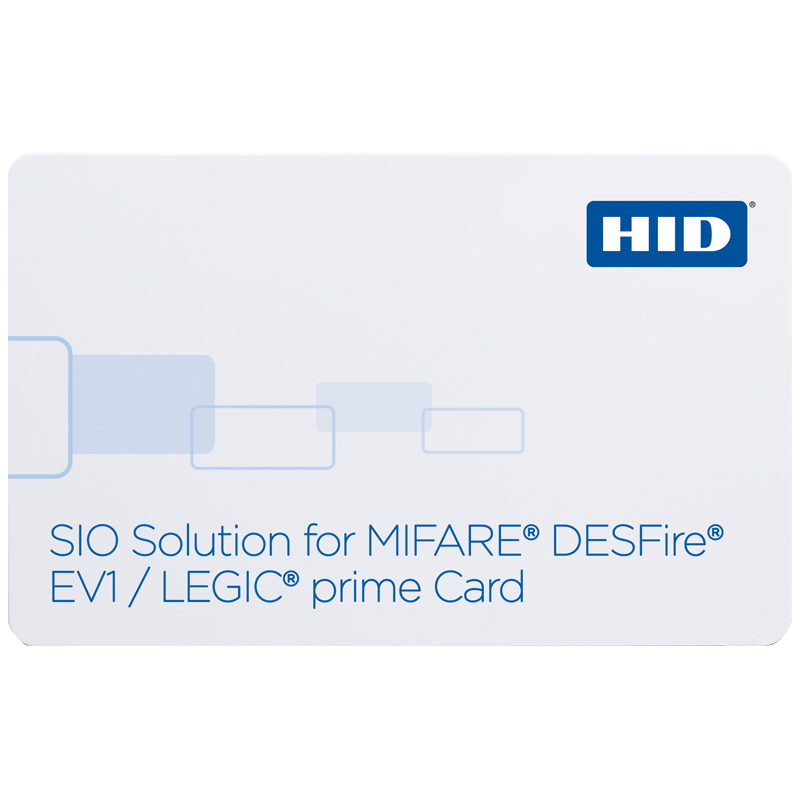 HID Global's SIO Technology-enabled cards for LEGIC® are ideal for organizations seeking to migrate from LEGIC prime 1024 to MIFARE DESFire™ EV1 technology. 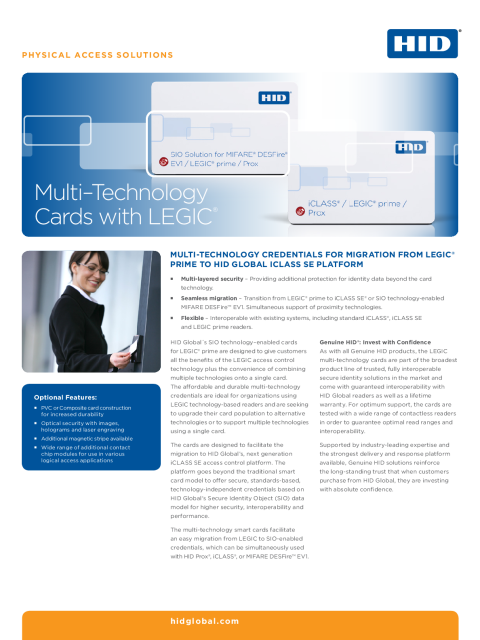 The LEGIC multi-technology cards enable organizations to benefit the SIO-enabled MIFARE DESFire EV1 credential for seamless migration to HID Global’s iCLASS SE platform, providing a future-proofed solution that delivers higher security, interoperability and increased performance. The cards are also backward compatible with LEGIC prime 1024 and interoperable with the existing LEGIC readers available on the market. The LEGIC multi-technology cards are part of the broadest product line of trusted Genuine HID® solutions in the market, and provide guaranteed interoperability with HID Global readers. Supports use of SIO Solution for MIFARE DESFire EV1 with LEGIC prime 1024 in one credential. Supports existing base of LEGIC prime compatible readers.